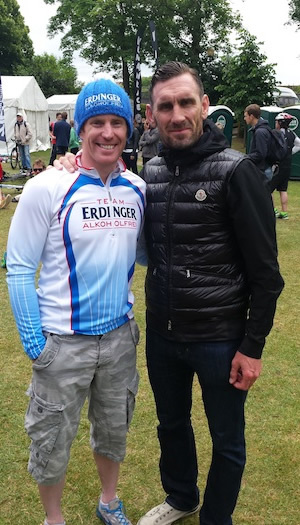 Despite being a local, Karl Alexander took part in the 25th anniversary edition of the Windsor Triathlon on Sunday for the first time - "I can't believe I've not done this event before." After winning the Outlaw Half recently, Windsor woud prove to be another pleasing performance from Karl, who reports on his day here. Triathlon is a young in sporting terms. With the first race to be named a ‘Triathlon' held in 1974, it will be celebrating its 41st birthday this September. The 2015 Windsor Triathlon celebrated its 25th anniversary on Sunday, which is an amazing milestone in our sport and as such was recognised with a dinner the night before the event that I was fortunate enough to attend. This included Q&A sessions with former winners of the event including Stuart Hayes, Richard Stannard and Spencer Smith. It was fantastic to hear their personal memories of the event and I was looking forwards to the race. 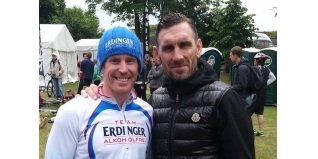 Despite being on my doorstep, this would be my first time racing this event and I would be joined by my ERDINGER Alkoholfrei teammate, two-time Ironman UK winner Dan Halksworth. With well over 2500 athletes participating, registration and racking was held on the Saturday and staggered through the day based on surnames. As I arrived I spotted the ERDINGER Alkoholfrei stall and made my way over to say hello – this was when I learned that the ‘Race With The Stars' event was to be non-drafting and after a quick visit to the helpdesk I swapped from my 35-39 age group and would be on the start line next to Stuart Hayes and Richard Stannard. The swap would mean mandatory attendance at the race brief at 4pm, but since I would be taking Dan Halksworth there any way, it didn't make a difference. 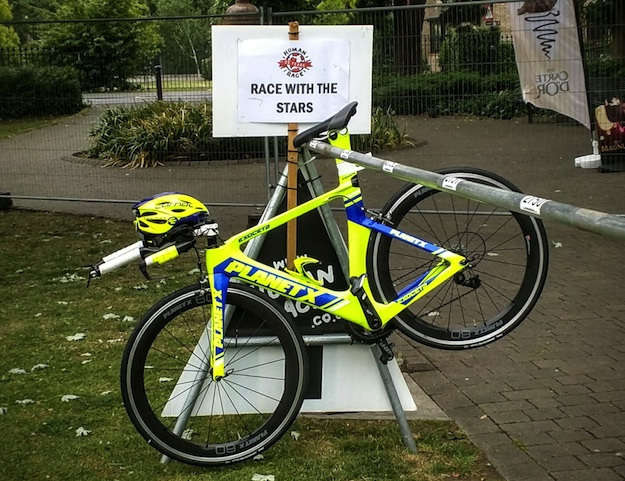 As a benefit I was first to rack my bike so I had prime location to put my Planet X Exocet 2. Once we were sorted, we headed home to relax and go for a quick spin before the race brief and the anniversary dinner. Another bonus was that the change in wave meant I would no longer be off at 06:35 which meant an extra hour in bed. Arriving at 7:30 we could see the earlier waves already out on course and there was a fantastic buzz in the air. Having left my bike outside overnight I was keen to get into transition and give it a quick once over and adjust my tyre pressure, with light rain and drizzle forecast I didn't want a repeat performance of my crash at The Outlaw. After a short run to get warmed up it was time to get the wetsuit on and head down to the Swim start. The swim course had been changed for this years edition of the race. 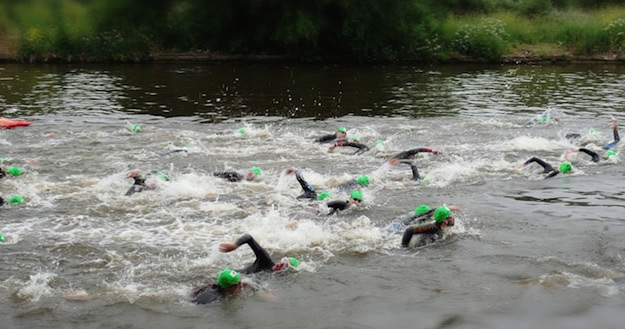 Starting upstream, athletes would swim approximately ¾ of the distance downstream and turn at Eton Bridge before turning back upstream and swim exit. I opted to start directly behind Richard Stannard, a man nicknamed ‘The Fish' figuring if I could hold onto him for a few hundred meters it would set me up for a good time. I didn't hold him for a few meters let alone a few hundred... within seconds Stannard, Halksworth and Stu Hayes were away and I made myself uncomfortable in the chasing pack. On the out-and-back of Drift Road I caught sight of Stu Hayes leading the race, with Dan Halksworth in second and Richard in third. In between them and Paul there were riders from previous waves out on course and I was looking at each of them to try and determine if they were in our wave or not. I continued to push hard but as I approached a roundabout just before the Great Park I got caught up in heavy traffic. On a short climb some of the previous waves had bunched up and cars were unable to pass, this was quite frustrating and spotting a gap I was though and free to ride. Coming through the Great Park I was holding over 50kph and coming into Windsor there are a number of turns and roundabouts to negotiate and again my line wasn't as quick as it could have been but nonetheless I came into T2 in 59:47 and was chasing. The top three were too far ahead to run down in 10km but fourth was very much up for grabs. At the turn point in front of the castle the gap between Paul and I had come down a little. By the second turn point at the King Edward VII bridge I was closing and at the end of lap one I was up on Paul's shoulder. I was so close that he wasn't aware I was there and I could see him looking to see where I had gone. A spectator shouted to him that he was in fourth just as I made my pass and accelerated up the hill to the castle turn. I heard him say "nope, I'm in fifth", which made me smile. Working hard on the climb the crowds were amazing and shouting support to everyone. Then I heard “Keep it going Karl, looking good”, I looked to see my Planet X team mate, legend and all round nice guy Spencer Smith cheering me on. Approaching the bridge turn I saw Stu and Dan but further down the road, further than on lap one was Richard – I was gaining on him. This gave me with a massive confidence boost and I pushed hard. On the third and final lap I had gained but I knew that unless he spectacularly blew up I wasn't going to get across. 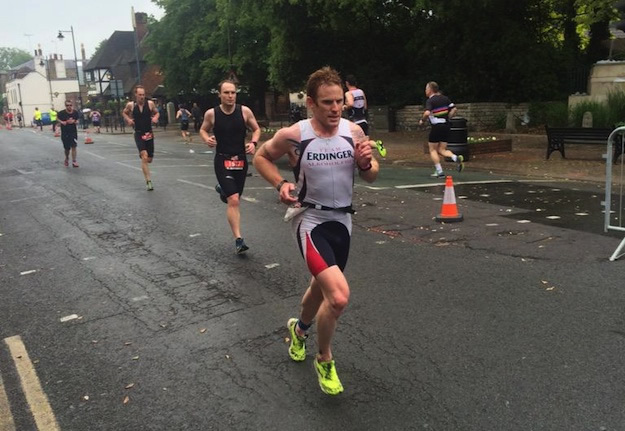 I held strong and crossed the finish into fourth place behind Stuart Hayes, Dan and Richard. I'm really pleased with the result, it was yet another excellent race from Human Race Events, the spectators, and volunteers were amazing. I can't believe I've not done this event before.